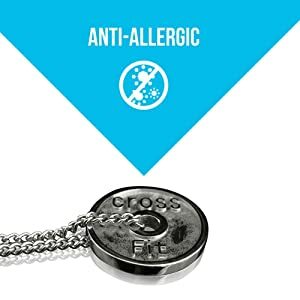 “Cross Fit Weight Plate Pendant setting a new trend of Jewelry for Boys. It could be used for daily purpose too. It’s made up of Stainless Steel and that doesn’t give any kind of rashes to Skin. 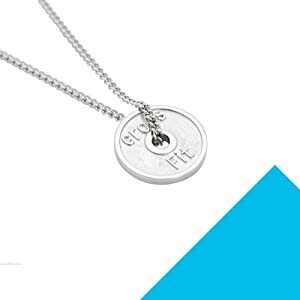 This metallic steel weight plate necklace is durable and has an excellent finish, beautifully designed for fitness freaks. This necklace will go well with any of your attire. 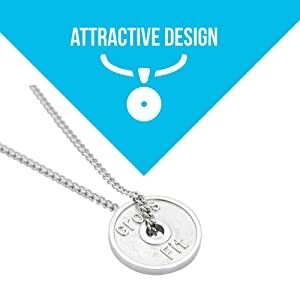 This beautiful metallic steel weight plate necklace is nickel free and leads free so this necklace is anti-allergic and safe for all type of skins. 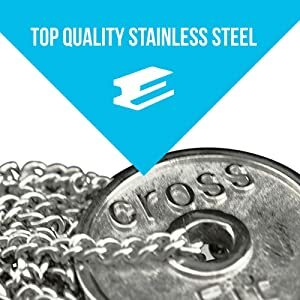 The unique ability of stainless steel to resist corrosion, chemical damage, allowing for a reduced thickness in the material of the necklace.